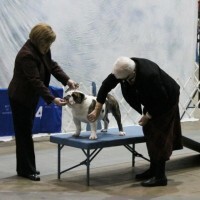 Show-Me Bulldogs proudly breeds champion Bulldogs and shares their beautiful puppies with other enthusiastic Bulldog families. 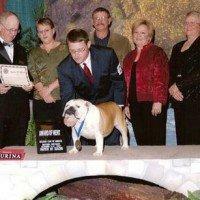 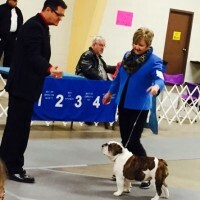 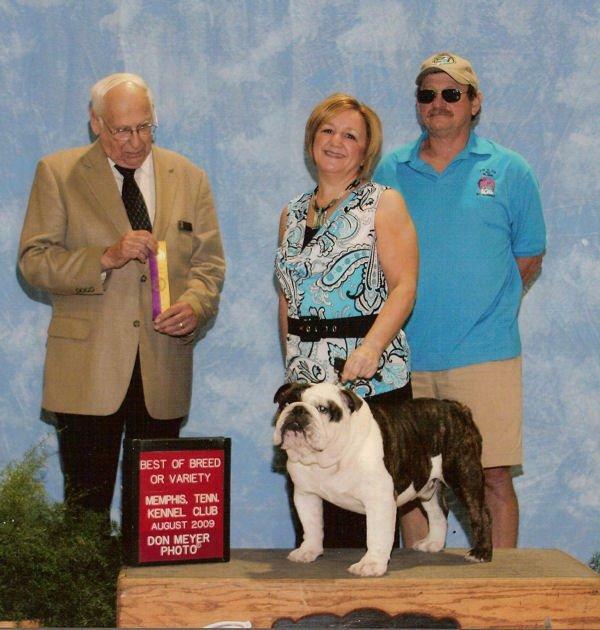 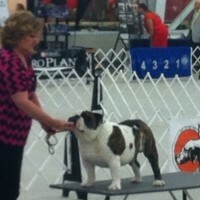 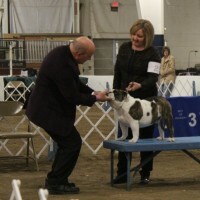 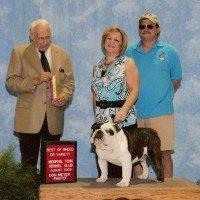 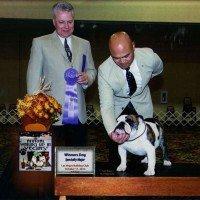 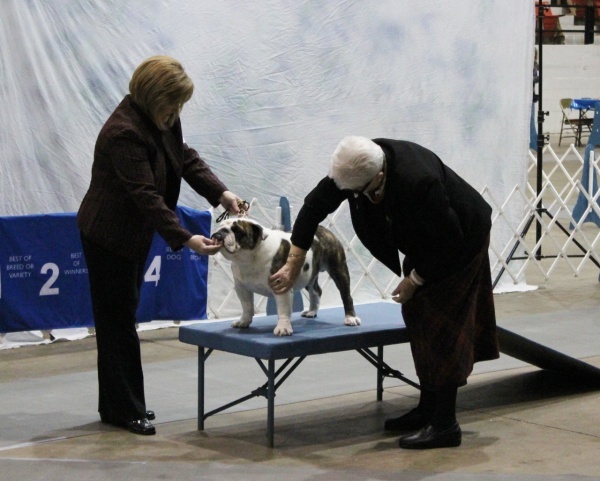 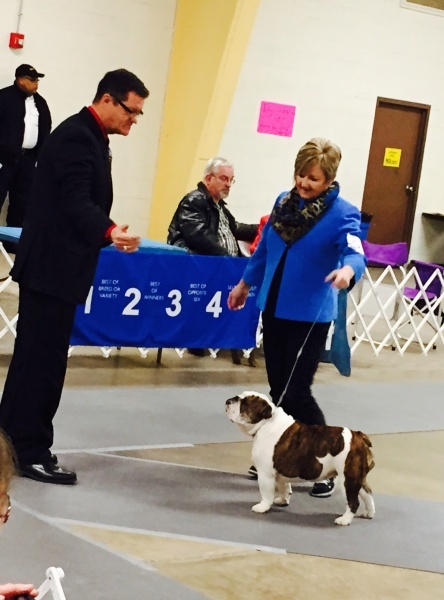 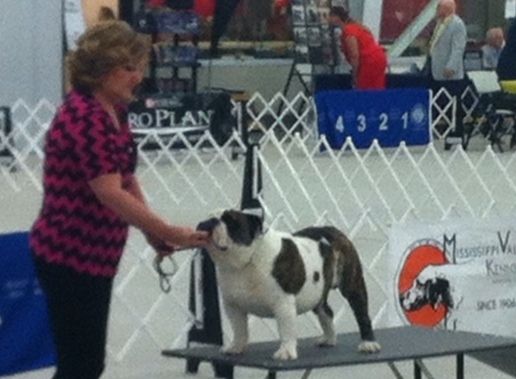 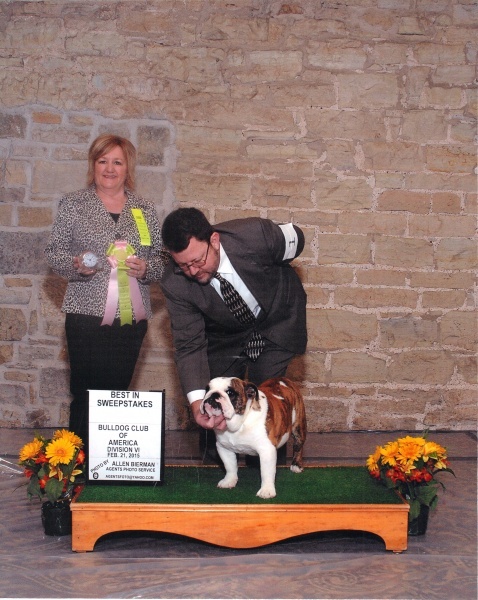 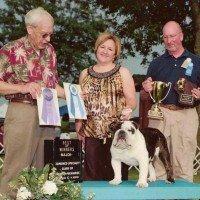 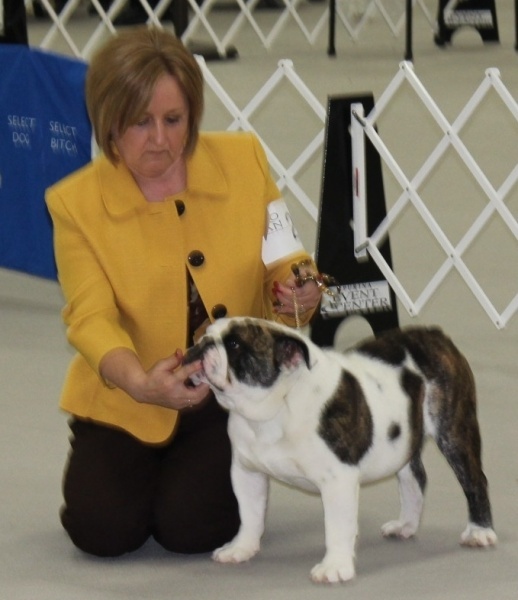 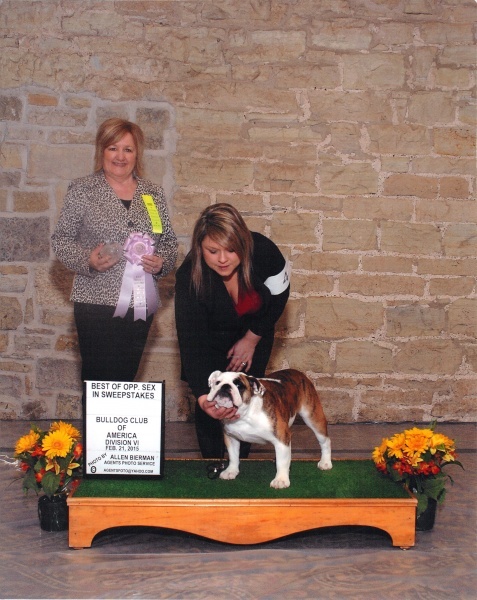 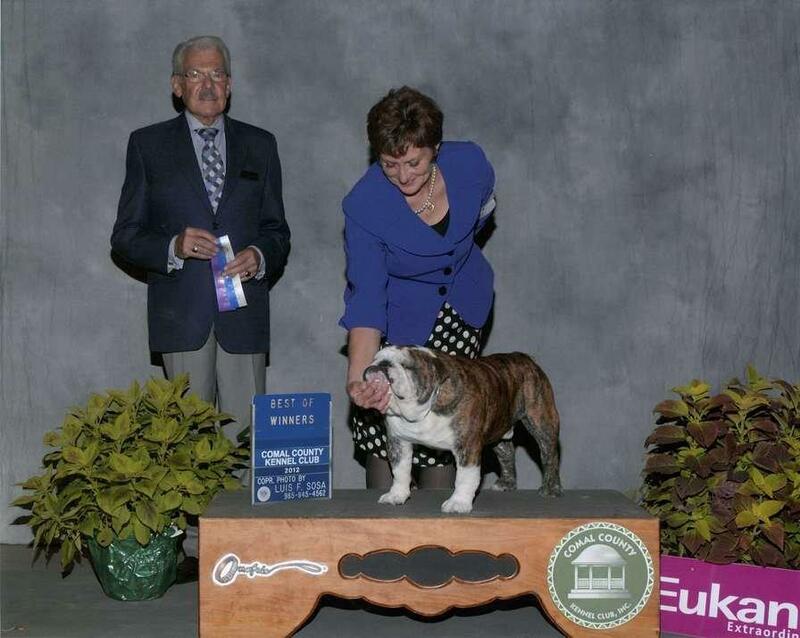 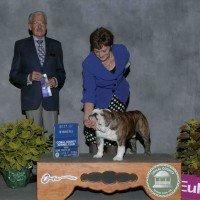 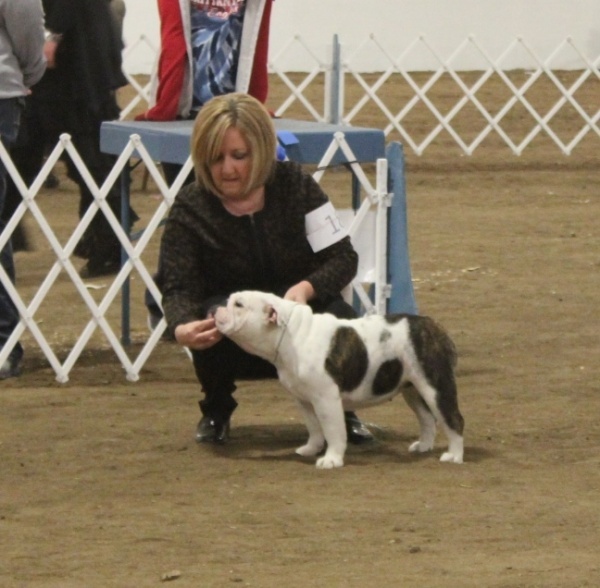 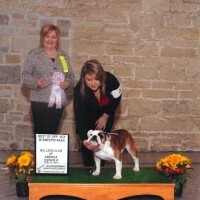 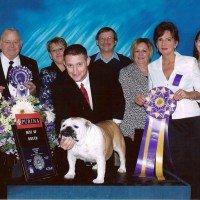 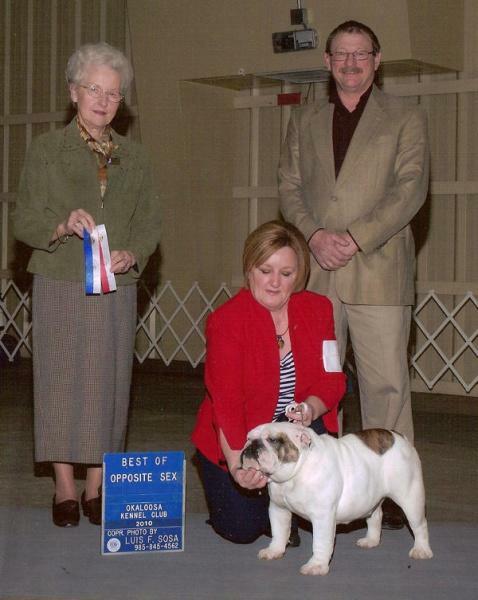 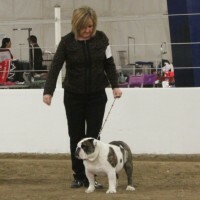 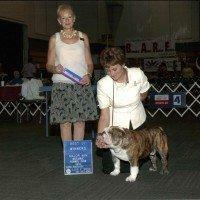 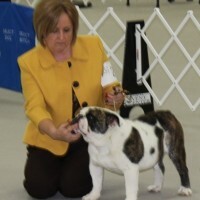 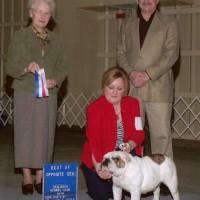 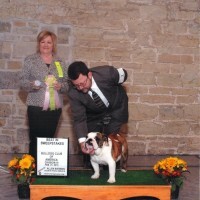 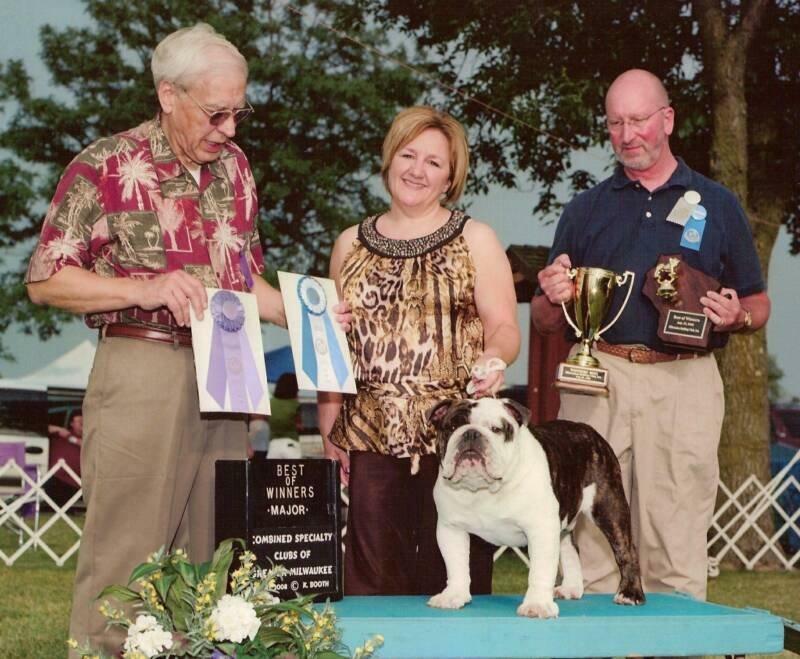 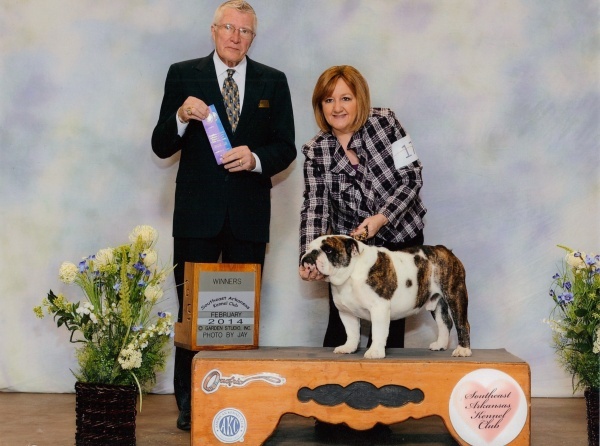 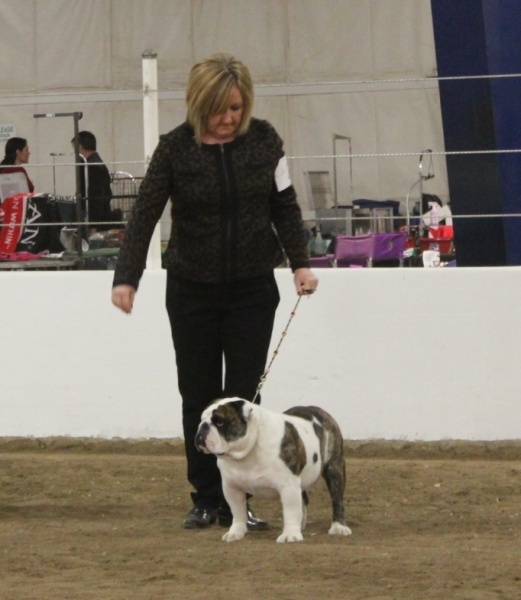 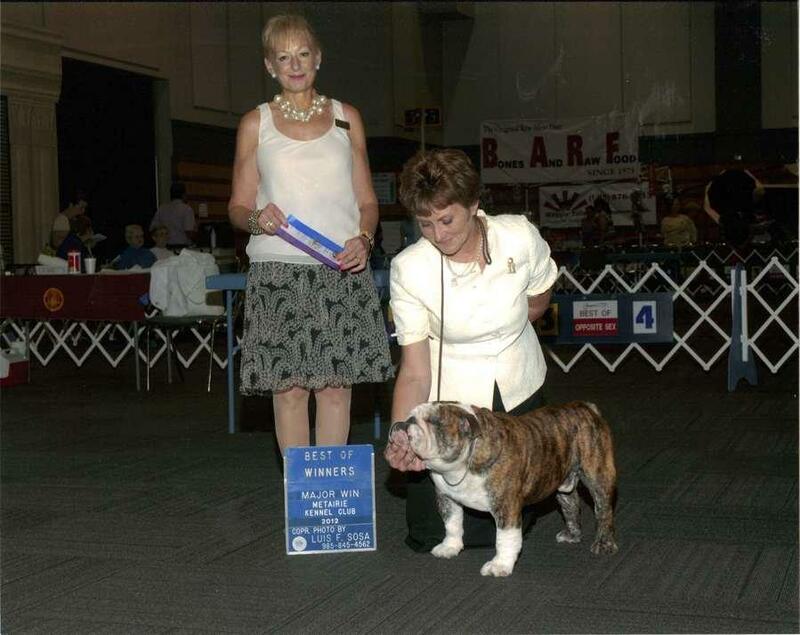 Each one of our Bulldogs is a special part of our family, and over the years many of our beloved Bulldogs have gone on to become show winners as well. 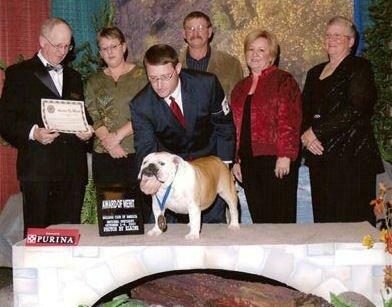 We began breeding and showing bulldogs over twenty years ago, and our wonderful companions have made us Hall of Fame breeders with more than 10 AKC championships. 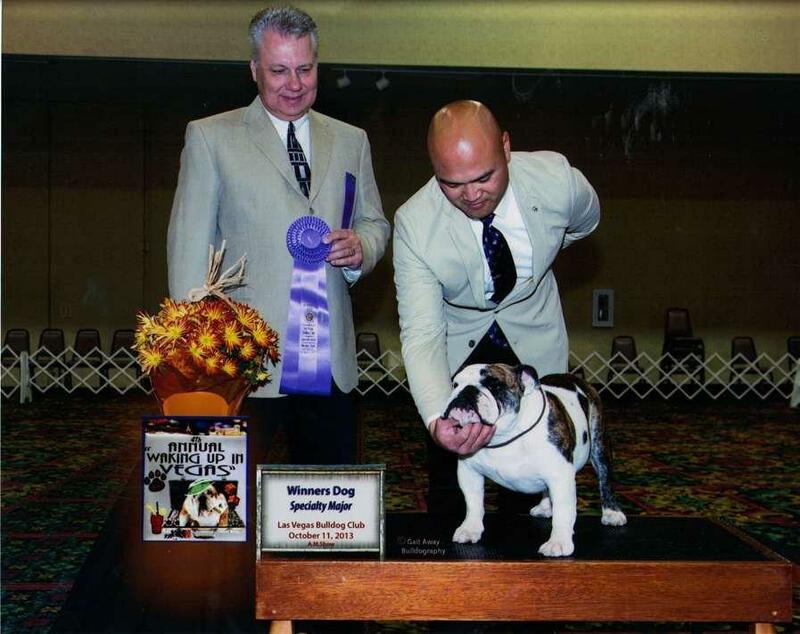 We not only breed Bulldogs with impeccable pedigrees, strong, healthy physiques and beautiful patterns, but we also breed pets with loving, affectionate personalities. 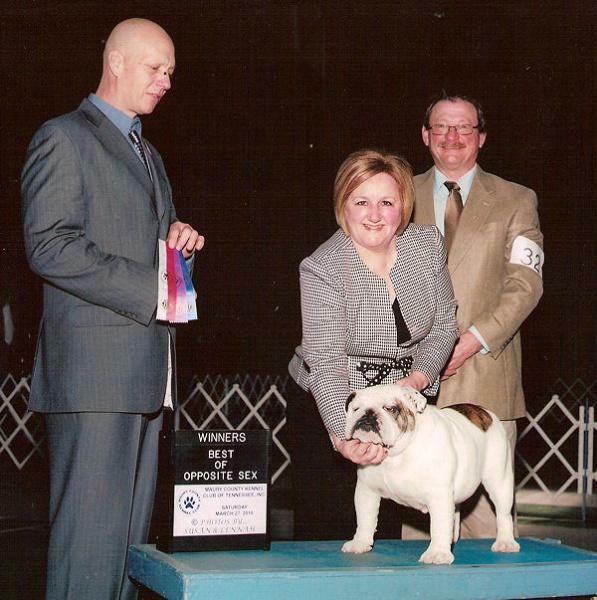 Inside the ring and out, our Bulldogs are a vital part of our family, and we are happy to help complete your family as well. 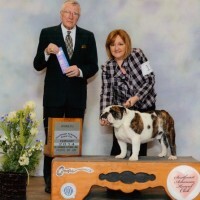 Browse the show gallery to see some of our proud winners, and check the puppies page to see our adorable new additions. 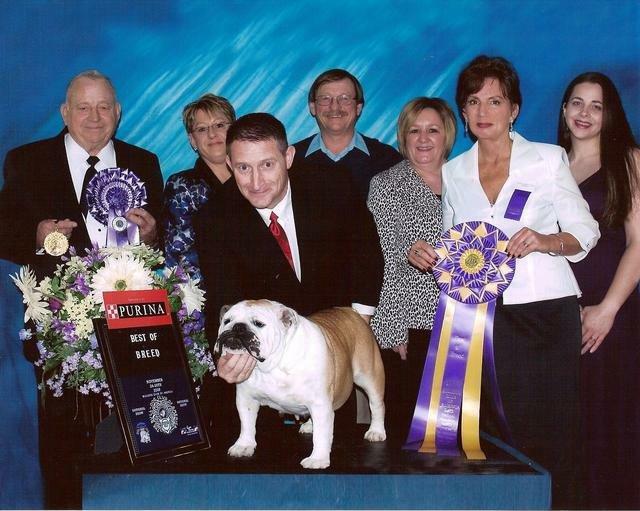 Contact us for more information on champion English Bulldog puppies for sale in St. Louis, MO, from breeder Show-Me Bulldogs.